In Celdes, in the context of social offer, we reinforce the Association of Women with Breast Cancer «ALMA ZOIS» of Achaia and we present three unique and symbolic designs, with the well known quality and design that has made Celdes famous and beloved to over than 40 countries worldwide. Part of the incomes will be offered for the reinforcement of the association’s work. 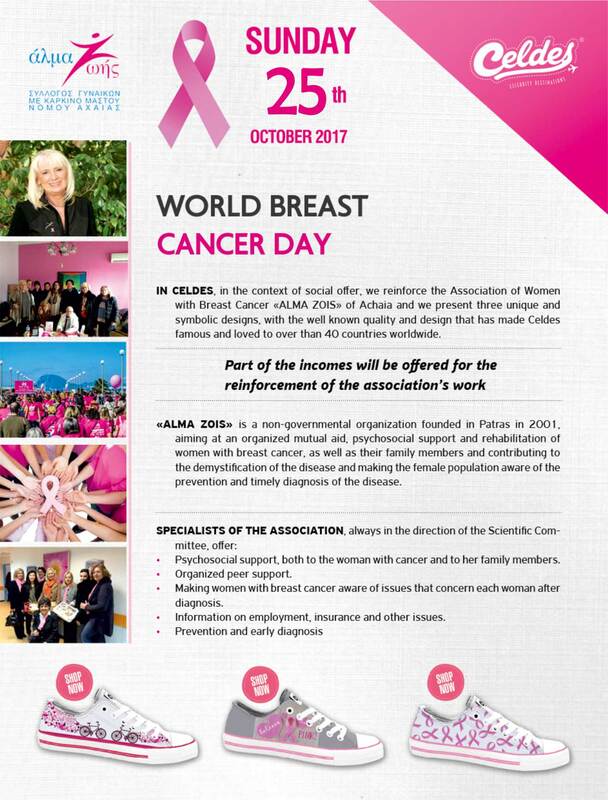 «ALMA ZOIS» is a non-governmental organization founded in Patras in 2001, aiming at an organized mutual aid, psychosocial support and rehabilitation of women with breast cancer, as well as their family members and contributing to the demystification of the disease and making the female population aware of the prevention and timely diagnosis of the disease. Psychosocial support, both to the woman with cancer and to her family members. Making women with breast cancer aware of issues that concern each woman after diagnosis. Information on employment, insurance and other issues.